Early Saturday morning of November 10, 2018, Helen “Rose” Hadac passed away peacefully, at Fairview Ridges Hospital in Burnsville, MN. She was a resident of Prior Lake, MN. A time to celebrate Rose’s life will be on Thursday, November 15, 2018 from 4 -7 PM, at Ballard-Sunder Funeral & Cremation (4565 Pleasant Street SE) Prior Lake and one hour prior to the Mass of Christian Burial on Friday, November 16, 2018 at 11 AM, at St. Michael Catholic Church (16311 Duluth Avenue SE) Prior Lake. A private family burial will be held at St. Michael Cemetery. Rose was born on January 13, 1932 on the Holden farmstead in St. Thomas, MN to John and Susan. She and her siblings, Bob, Agnes, Loretta, Marie, Catherine, Joe and Tom worked hard tending to daily chores. 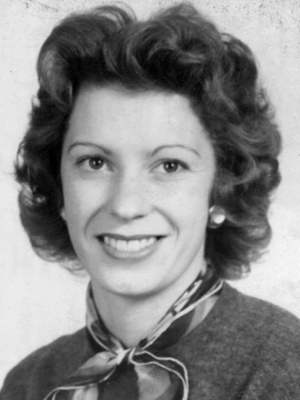 Rose attended New Prague High School where she graduated in 1949. She received a teaching certificate and over the next 14 years taught in various school districts but her favorite career was that of wife, mother and grandmother. On August 27, 1955 she married Jerry Hadac at St. Thomas Catholic Church. They were soon blessed with six children, Doug, Mike, Kathy, Jean, Jeff and Carolyn. Countless hours were spent camping, fishing, sledding, playing sports, board games, cards and gardening. Rose was a terrific baker and cook. Some of her specialties included pies, kolackys, potato dumplings and breads. As her children grew, she instilled the importance of faith. She was part of CCW, taught religion classes and RCIA at St. Michael’s Catholic Church. Jerry and Rose owned and operated Hadac Inc. Realty for 21 years. Around that same time their sons ran Doug and Mike’s Bait Shop which eventually became a family affair. In 2000, Rose and Jerry sold their home in downtown Prior Lake and traveled the United States in their RV. In 2005 they eventually set down roots in Osakis, MN, where their family created more wonderful memories on the lake. As Rose’s health started to decline, she and Jerry moved back to Prior Lake to be closer to family. Rose was a loving, caring, compassionate, gentle woman. She had a great sense of humor and was a terrific story teller. She was also creative, adventurous and loved life to the fullest. Her greatest passion was being a mother and grandmother. Rose had a special love for each of her grandchildren. Forever loved, Rose will be forever missed by her beloved husband, Jerry; children, Doug Hadac, Mike Hadac, Kathy (Bob) Vohnoutka, Jean (Dave) Munson, Jeff (Jody) Hadac, Carolyn (Rick) Zurn; grandchildren, Katie Vohnoutka, Bryan Vohnoutka, Matt Munson, Annie (Keelan) Sweeney, Mekenna Munson, Ali Hadac, Caddie Munson, Ryan Jaskinia, Jenna Jaskinia, Brooke Hadac, Emily Hadac; siblings, Agnes Masica, Joe (Amy) Holden: sister-in-law, Maxine Holden and other relatives and friends. There to welcome Rose in eternal peace are her parents, John and Susan (Pranke) Holden; longtime companion of Mike, Bonnie Gonzales; siblings, Bob (Mary) Holden, Loretta (Florian) Schlosser, Marie (Lew) Claus, Catherine (John) Hamilton, Tom Holden and brother-in-law, Bill Masica. I am so sorry for the loss of this beautiful soul. She was a such a special lady and I will always keep the wonderful memories of her soft spoken nature and kind heart. No doubt she is dancing with the angels and will continue to watch over all of you. My warmest thoughts and prayers are with you all at this very difficult time. Our deepest sympathy on the loss of your beloved Mom and Grandma. I know she will be missed. May she Rest In Peace. Our hearts are saddened to hear of Helen’s passing. She was always a special person in our hearts. We wish all the family our deepest sympathy. We remember all the great times with family at Cedar Lake and Helen was always there laughing and having a good time with us kids. The smile on her face will always be remembered. We are so sorry we could not attend and meet all.